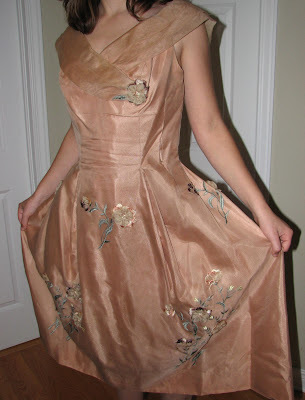 Here are some of the Vintage Gowns I will be listing shortly. 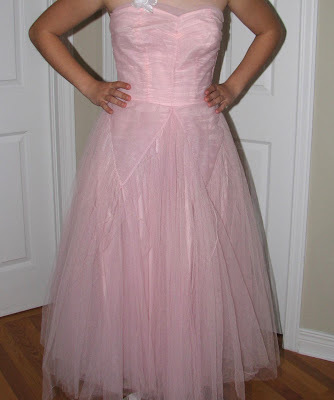 This pretty pink Tulle Prom Dress would also make a lovely Bridesmaid Dress ~ in a Vintage themed Wedding. 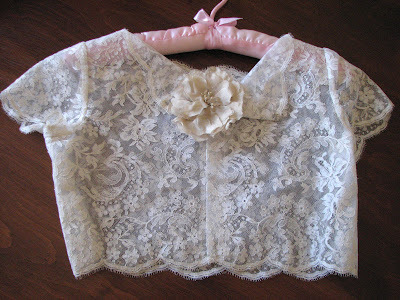 A sweet little lace jacket would work well with the Strapless Dress. 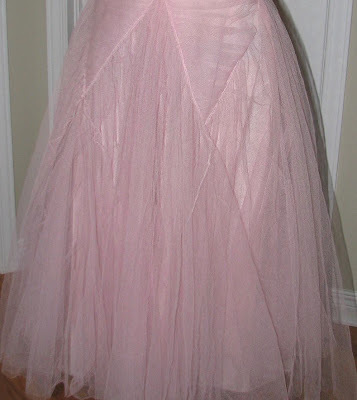 The dress has multiple layers of tulle in soft pale pink. 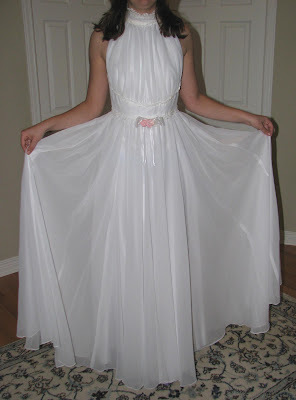 This white gown is so pretty. 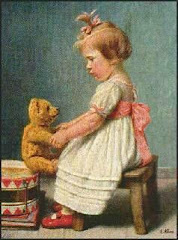 I think it is for a taller gal, however. Or someone that can manage high heels. My daughter is standing on a 7 inch wooden stool, LOL. I picture a Bride at an Outdoor Wedding in the Caribbean . . . white sand and ocean breezes. I found this lovely dress at the Vintage Clothing Show I went to last weekend. It just needs a gentle soak and then I will list it on Etsy. 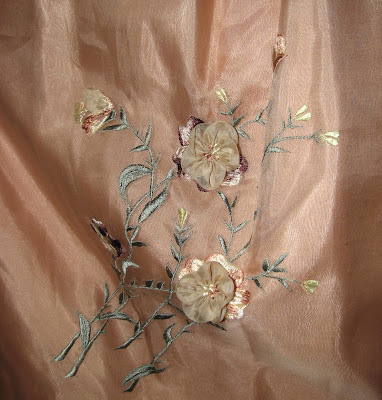 So pretty with the silk, organdy, embroidery and raised floral detail. Definitely worth a tiny bit of TLC. Cider update: Our dog Cider is doing very well. She either has the bandage off or the cone off. We keep rotating. Her healed leg is still thin new skin and can't be "cleaned" constantly like she seems to want to do. It has been 2 months after all ~ I am sure she thinks it needs a good wash. The daily cleanings by humans apparently do not count, LOL. What fabulous gowns!! I am so glad that Cider is doing so well!!! Must be all that love! I am so glad to hear that Cider is doing well! Yay!!! Glad to hear that Cider is doing so well. 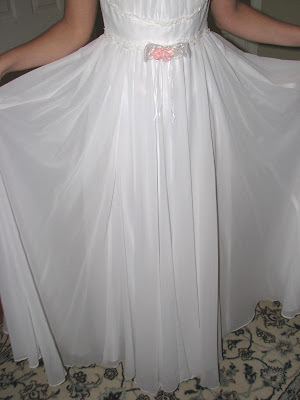 Those gowns are all beautiful - I really love the silk, organdy embroidered dress. It must be neat that your daughter can model them for you. Beautiful...I found your blog while browsing. I like what I see here!